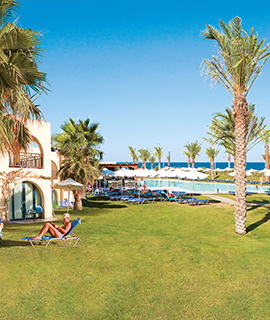 Ideally located on an idyllic stretch of coast just two kilometers from the fishing village of Marmari, Royal Park glories in its serenity. 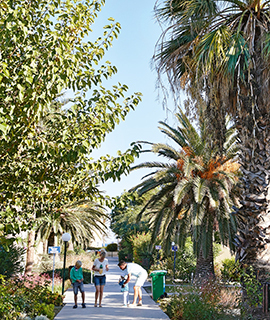 Rooms & Bungalows with flat roofs and white-washed exteriors among multi-coloured gardens. 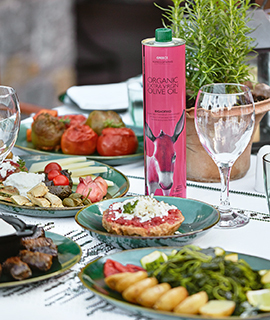 Enjoy full-board (breakfast, lunch & dinner) plus snacks, ice creams, alcoholic & soft drinks, hot & cold beverages and more at no extra charge. 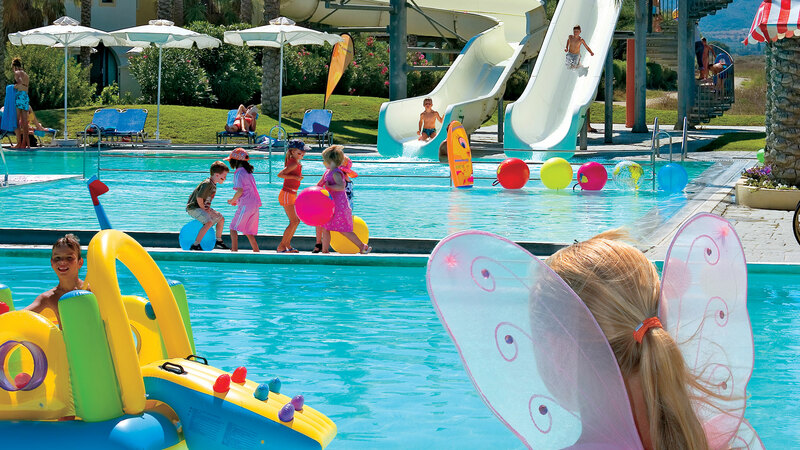 The Grecotel Royal Park kids friendly hotel is a dream destination for younger guests with its kids’ club, two waterslides, open-air playgrounds, paddling pools, sandy beach and shallow waters. 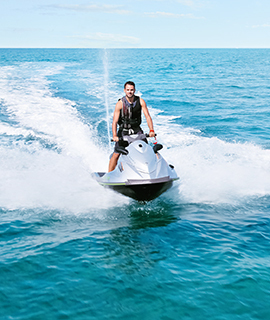 A large selection of complimentary activities enhanced by additional off-site options, such as watersports and tennis! 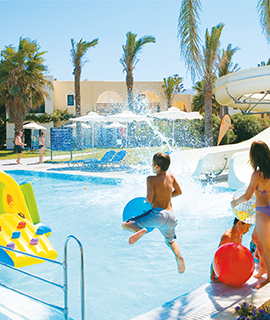 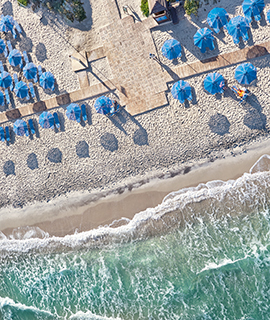 Grecotel’s all-inclusive means guests can enjoy quality holidays with the carefree air of an all-inclusive holiday, without having to worry about the final bill!